There’s a new design trend in the wind. It’s modern, but not minimalist. It’s rich, but won’t break the bank. It’s super glam, but never gauche. Here at Robb & Stucky, we call it the Age of Opulence. First, opulence is always over-the-top - over-the-top with comfort, that is. In this new world order, upholstery pieces are perfectly designed to do the body good. Size and scale is often dramatized for creature comfort and head-turning effect. Fabrics beg to be touched, and please the eye too, often with glimmer and sheen. 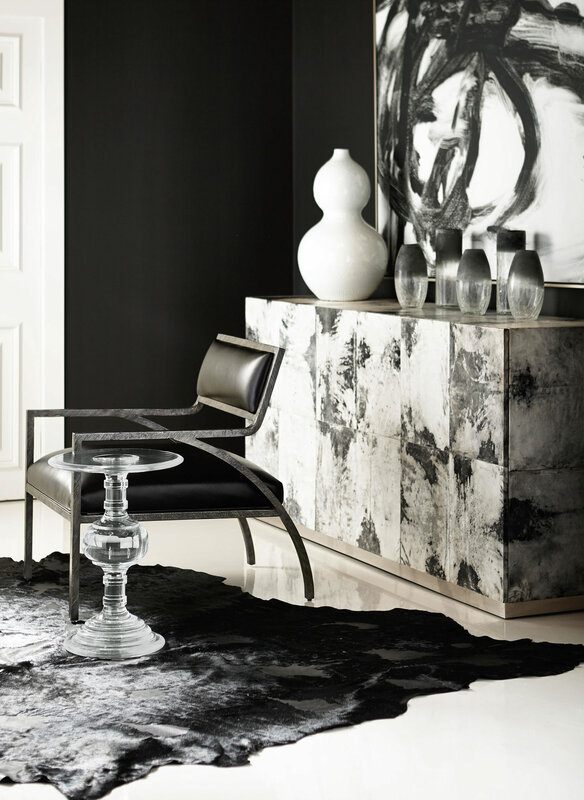 Englishman Christopher Guy is a standard bearer of the Age of Opulence. His Larme Chair, for example, is a French fauteuil worthy of the Sun King, with a crowning seat and oval back all trimmed in nailhead. The arms are low and scrolled. Larme is set on cabriole legs. If every man (or woman’s) home is a castle, then Larme is a must-have. 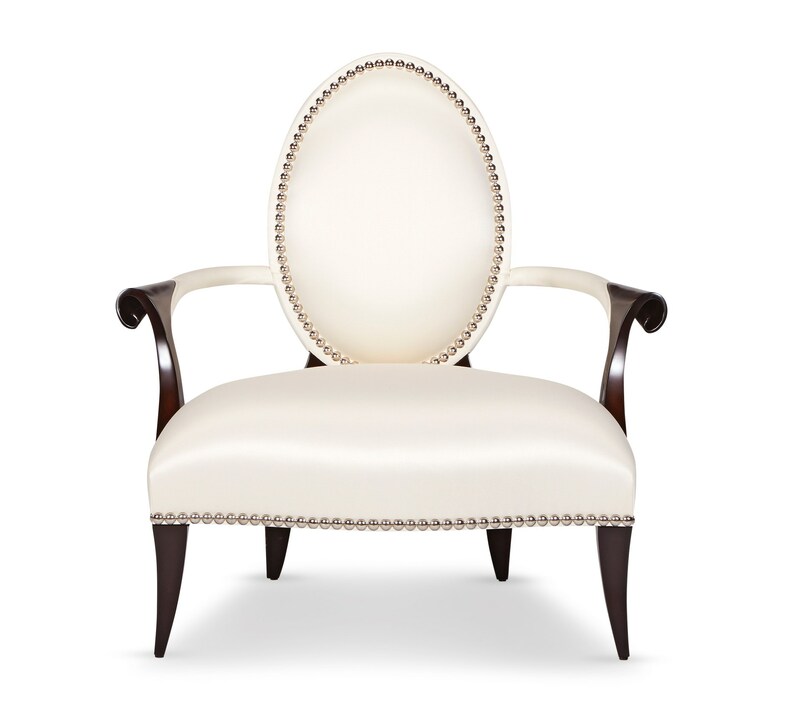 All hail the Larme chair from Christopher Guy. New at Robb & Stucky. Opulence is the opposite of ordinary. Simple furniture designs can be elevated to opulent status with the use of unusual, bespoke materials. Look at Espinoza. It’s a simple cabinet set on a plinth base. But Bernhardt designers wrapped Espinoza in goatskin and parchment, mottled in gray and white to resemble cloud formations. Heavenly. Fine materials are a signature of the Age of Opulence. This cabinet is wrapped in goatskin and parchment. Available at Robb & Stucky. Opulent design takes cues from the world of fine jewelry. 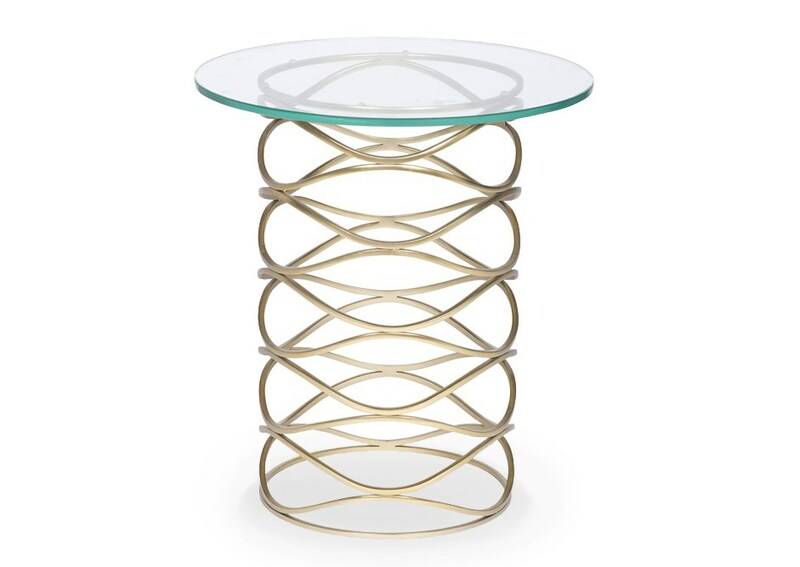 We love the Bracelet Martini accent table from Vanguard. The pedestal base is an interlocking network of brushed brass rings, reminiscent of a bauble on your wrist. Martini is topped with a round glass top, so the full glory of the base is always visible. Jewelry-inspired Martini Bracelet table from Vanguard. Available at Robb & Stucky. Finally, the Age of Opulence can have a halo effect achieved with mirrors and metals. 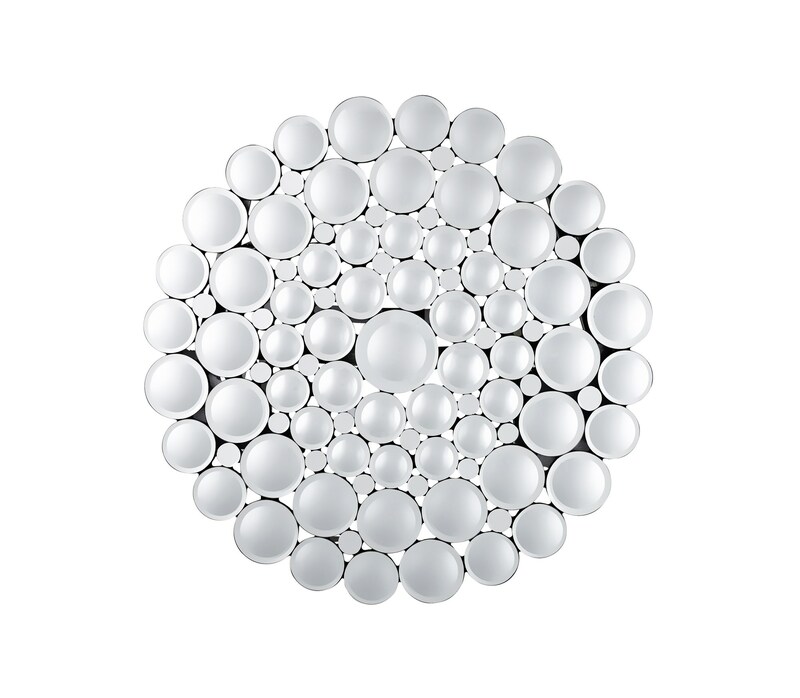 Our Beveled Round Mirror is a glorious conflux of smaller individual mirrors, attracting and reflecting light throughout the room. Why not cluster a series of these little jewels? At just 31 inches, the more the merrier. This round mirror is a perfect solitaire, but why not cluster a group? Available at Robb & Stucky. The Age of Opulence seems to wash away the woes of past economic doldrums. But it’s not a frivolous pursuit by any means. Shoppers attracted to this trend also have high expectations, seeking out Robb & Stucky’s creative interior designers to take their haute home to new heights.